Taking the old name for Jeju, the 10 Scenic Views of Yeongju” were compiled by Joseon-era poet and scholar Lee Han-woo (1823~1881). Lee covers 10 sites, creatively harmonizing the temporal and spatial qualities of the island with poems dedicated to each. Many of the scenes resemble traditional Oriental paintings, a sign that his choices were made more than 150 years ago. Some now believe they no longer adequately represent Jeju as modern Korea’s representative and increasingly global tourist destination. Therefore, tourists, photographers and local media were consulted in the creation of the “New 10 Scenic Views of Yeongju,” and both will now be introduced as well as a look at what is missing. Lee's “10 Scenic Views of Yeongju” can be traced from the foot to the peak of Mt. 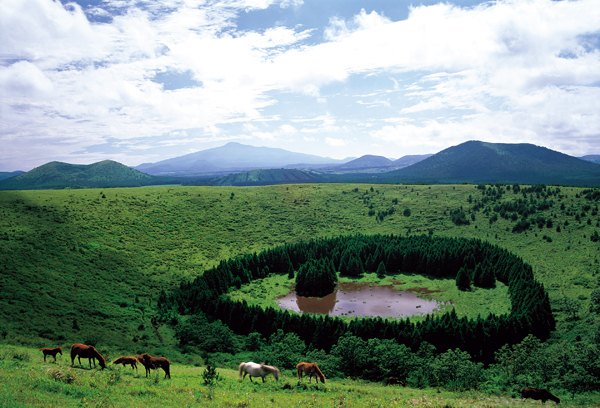 Hallasan, up Jeju’s oreum and across its grasslands and orchards, through its valleys to its coastal seas and waterfalls. The list not only includes sites of natural beauty, but considers temporal qualities relating to morning or evening, and the seasons of spring, summer, autumn, or winter. Courtesy of the majestic sunrise views from Seongsan Ilchulbong Sunrise Peak in southeastern Jeju, "Seongsan Chulil" is the first among the 10 views. This is balanced with "Sabong Nakjo," praised for its magnificent sunset from the peak of Sarabong Peak, Jeju City. Following the order of the seasons, “Yeonggu Chunhwa” is next representing spring, with its blooming azaleas along the Yeonggu valley near Bangseonmun, Jeju City. Summer is represented by the summer sprays hitting the sea at “Jeongbang-hapok” (Jeongbang Falls). Jeju’s tangerine orchards are next in autumn in scenes known as “Gyullim-chusaek.” Finally, the snow-covered wonderlands at ‘Nokdam-manseol’ (Baengnokdam Lake) at the top of Mt. Hallasan showcase winter. Other inclusions are “Yeongsil-giam,” the fantastically shaped rocks reflecting 500 lohans (Buddhist disciples) making a panorama on Yeongsil, Mt. Hallasan's breast. A statue of the actual Buddha is present at “Sanbang-gulsa,” the temple on the southwestern slopes of Mt. Sanbangsan, Seogwipo City, and these two show exquisite harmony in their mystique. “Sanpo-joeo” provides a flavor of fishing at the mouth of the Sanjicheon near Jeju Port, while the Jeju ponies grazing on the grasslands of “Gosu-mongma” at the foot of Mt. Hallasan recall a beautiful watercolor. 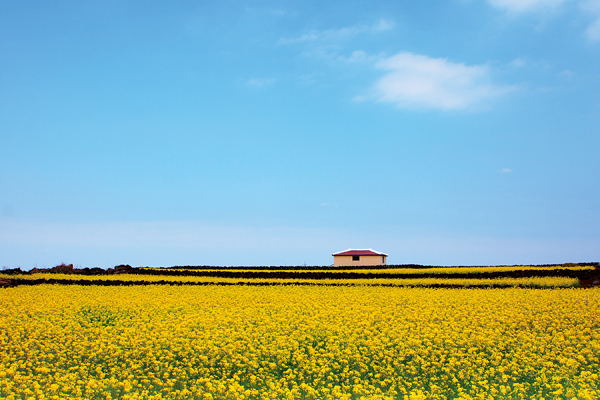 The New 10 Scenic Views of Yeongju are more visual and reflect modern tastes for aesthetics and photo oppoortunities. In fact, both lists’ popularity can be judged through data from Google Panoramio, which charts locations with a high density of photographs. Professor Park Si-sa of Jeju National University compiled such data and showed that ‘Seongsan-chulil’ (Seongsan Ilchulbong), ‘Nokdam-manseol’ (Baengnokdam, Mt. Hallasan), ‘Sanbang-gulsa’ (Mt. 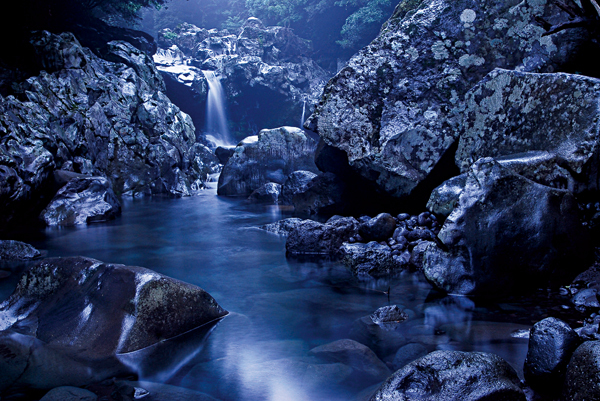 Sanbangsan), and ‘Jeongbang-hapok’ (Jeongbang Falls) are popular of the original 10. Among the new list, Google Panoramio shows high density at Seopjikoji, Jisakke Jusangjeolli, Yongyeon Lake, Jagunae, Udo and Songaksan. However, it should be noted that such analysis through Google Panoramio also shows that historic and cultural sites such as Jeju Folk Village, Pyoseon, and Jeju Museum of Art, Jeju City, show high density. For Jeju to be a truly world-class destination these cultural resources should be promoted as fervently as the better-known natural attractions. Let’s hope we don’t need to wait another 150 years for that.